not letting them get a hit. I wanted to pass on some important information from the Braves about how to get to and from SunTrust Park on game day! The Atlanta Braves have put great thought and detail into how to make getting to SunTrust Park the best experience for you! The Braves have joined in partnership with Uber, Waze, and Cobb County to help get you to the ballpark easier and help manage the traffic during game days. They are excited to pilot new technology with the Uber app, and the updated MLB.com Ballpark App, to help make the entire process easier from purchasing your tickets, and planning your trip to and from the ballpark. For game day travel, you are encouraged to make a plan in advance of your trip to SunTrust Park. This can be done in 3 easy steps, and can be completed through the updated MLB.com Ballpark app. Buy your ticket in advance! The Braves have transitioned completely to PAPERLESS TICKETS. Tickets can be purchased through the MLB.com Ballpark app where you will receive a barcode that will be scanned on your phone as you enter the gates. You can also purchase tickets at Braves.com, or calling the Braves ticket office at 404-577-9100. Buy your parking in advance! When you purchase your game tickets, please also select and purchase your parking! This will give you better choices of where to park and ultimately save you money. There are 14,000 spaces around the ballpark, but purchasing before you arrive will give you customized directions and a pre-purchase discount. Many lots will require a pre-payment, although some will accept credit cards at the site. Plus, if you have bought your parking in advance, you will have the added benefit of the Waze app to help you get there. Use the Waze App! Because they are partnering with the Braves, Waze will be receiving real-time traffic information and updates from Cobb County to help spread out traffic in such a large area and help you maneuver around and find the best way to your parking lot (another reason to buy parking in advance). Cobb County and Waze will be able to get you around trouble spots, much more than a smartphone map app, because it is customized to help you get to a Braves event. To also help reduce congestion, The Cobb County DOT is assisting with traffic manageability by offering The Cumberland Circulator. This transit system will have new routes to help you on game day, make daily traffic a bit more manageable, with enhanced mobility and frequency. There are 14 access points to get in and out of the ballpark area, minimizing impact on everyday commuters. There are 14,000 parking spaces available around SunTrust Park. 5,000 more parking spaces than at Turner Field…. for a ballpark with 8,000 less seats! I’m ready for new season in our awesome new ballpark!! Let’s Play Ball! The Atlanta Braves A-List members, a.k.a. season ticket holders, we were given a chance to explore and enjoy all that the new SunTrust Park has to offer at their ‘SunTrust Park Open House’. The ballpark is beautifully built, thought out, and elegantly designed. And to think this all started from a field of dirt just 3 years ago. The Braves staff have been working around the clock to have this incredible ballpark ready for us for the Open House but more importantly, by our Home Opener…April 14th! Let me tell you, it will not disappoint! During our time at SunTrust Park, we were given a chance to find our seats, test out the new concessions, and watch the first game ever to be shown on the big screen which was a Braves Spring Training game being played in Orlando. The new kids area, Hope and Will’s Sandlot, was up and running and complimentary for the day. It has a new Pop Flier Zip Line and Climbing Tower as well as other fun games…some I used to play as a kid. Pictured here is the ‘First Base Dash’; runners are timed to see how long it takes to run to base, and up above that is the ‘Pop Flier Zip Line’. Behind this is a hotel that will open in 2018. The building you see here to the top right is a hotel that will open in 2018! Great location! This is in the Plaza area leading to The Battery Atlanta. See the black on the ball? Those are screens for live media coverage! This is a view from the Coors Light Chop House! See those little holes? Those are drink coolers! Yes, little drink coolers where you can place your drink and it will stay cool as you sit and watch the game. This is 1:30 in the afternoon and this area is already in the shade. 🙂 Everything has been thought out for the best experience for you! This. And so much more! Get ready to eat, my friends! Words cannot describe my level of excitement for this new ballpark and the start of a new season. MLB owners are referring to our new ballpark as “revolutionary” and I totally agree! Please stay tuned to more posts about our new amazing ballpark…So much more to come! I had the privilege of touring our new SunTrust Park yesterday. What an incredible sight! What was once a field of dirt and just an idea, is now quickly becoming a reality. Every detail, every design element, every space, seat, feature, club, food venue has been carefully thought out and constructed for us, the Fans! The players will get a state of the art clubhouse, a separate area to hang out, eat, cook, and rest. When it comes time for them to bat in a game, they will have a different space to take some swings before stepping onto the batters circle. I am so proud of Derek Schiller and everyone at the Braves Organization for tirelessly examining every detail possible to make this a nice ballpark for Braves fans and the players. I have had the pleasure of serving on the Fan Advisory Board for SunTrust Park for the past 2 years and I can tell you that this new ballpark and the adjacent development, The Battery Atlanta, is going to be amazing! Bring on 2017! And Let’s Go Braves! Our first glimpse of the field as field prep was being done. This brings me so much excitement for the season to come. The field is now behind me and the press box is up at the top of this picture. This gives an idea of the beautiful thought and architectural design that has gone into this great project. First Base side seating. We will be closer to the action in this wonderful, intimate ballpark. The Braves will have extra space outside the Braves dugout for players to take some swings before being on deck. The Braves Clubhouse–beautifully designed and attention to detail. The Braves Batting Tunnel: Pitching machines will be available to give the players the kind of pitch and the speed they choose. The Office for the Official Braves manager, Brian Snitker! This beautifully designed premiere club, will be located on the terrace level behind Home Plate. This will showcase many Braves Memorabilia, have exclusive food and drink, as well as many places to enjoy the amazing decor and atmosphere. This will be available to fans with terrace level seats. Photo taken from one of the Middle levels looking down. You see the right field foul pole in front of me. The SunTrust Park Scoreboard and the Chick-fil-A Cow! Seeing it close to completion makes me very excited. The construction workers are working fast and furious getting this done for Opening Day, 2017. Last I heard, they were ahead of schedule. Have I mentioned that I am excited?? This is the bridge leading to second level of The Battery Atlanta. It will have specialty shops and restaurants that will be used not just during the Braves baseball season, but year round. What you will see coming in one of the ballpark entrances. What a great sight this will be, especially if this is the first thing you see! We can’t wait! Thank you again to the Braves Organization for all of your hard work! Last night, my son had a baseball game. Husband was coaching. I was running the dugout. Our boys faced a tough team and played hard. Our son had a good game but made some mistakes that don’t usually happen. He was upset. I told him that he doesn’t have to do anything spectacular on that field for me to be proud of him. As long as he tries his best, I will always be proud. I reminded him that baseball is a tough sport. There is a very good chance you will strike out, drop a ball, miss a grounder, or be called out at a base. It is ok. You will not be perfect every time. There were some good things that happened on the field. He had some good plays and hits, so we focused on those. I reminded him that the rest of the player development will come… just to keep working hard. The conversation could have gone a very different way in the car on the way home. We could have focused on all that went wrong and how we were going to make it better, but instead, he needed to hear that I was proud. And my words made a difference. Later he told me that those words made him feel better about himself. I hope so. I don’t want his self-worth to be dependent upon his performance on the field. He has a lot of heart, he loves the game, and as long as he is having fun and trying hard… I will ALWAYS be proud. It’s hard to imagine that our baseball coaches are simply volunteers. There is a great deal of love, passion, and time that goes into a season. My husband loves being able to coach. I love being able to help. One of my many responsibilities as a Team Mom is that I get to run drills with the boys on the field, I also do administrative stuff for my hubby/coach since he has a full time job, but I think my most important job is that I run the dugout. For every game. A lot happens in the dugout. It is a very adventurous place. Our son is now 11 years old, but when he and his teammaues were 9/10 and younger, I found it was important to be in the dugout. I end up being the batting order coordinator, counselor, cheerleader, photographer, motivational speaker, nurse, aka boo boo fixer, monitor of boys climbing the fence, and trying to make sure none of the players swings a bat in the dugout. I also am a “bat runner” or “bat girl” if you prefer. It is fun but you have to stay on your toes. I have to be prepared. Our park has asked our players to fill out medical forms in case of emergency. I will always have those with me in a folder or notebook. I will always bring a few extra water bottles and snack bars in case someone is starving in the dugout, or forgot to bring their water bottle. Especially those who are running from somewhere else or forgot to eat breakfast. Keeping in mind food allergies. I always have a copy of the game schedule either in writing or on my phone because someone will almost always ask me about an upcoming game or when they are supposed to bring snack. But, like I said I help out in the dugout, every game. As the coach’s wife, he puts me to the task and trusts I will handle it. The first couple of games are the funniest because the boys are still bonding as a team, and learning so much. Some are climbing on everything, and some are throwing balls and/or swinging bats. This is my job to monitor (prevent) all of this. As the “batting order coordinator” so I have to have those boys ready to go on deck or up to bat. No matter what. It takes a game or two to get them to understand the timing of all of this. When the boys were younger, sometimes it took 2 of us in the dugout… 1 for crowd control and 1 for batting order. The first couple of games, our players can get so nervous. I teach them to cheer each other on. Sometimes things on the field don’t always go their way and this is an important lesson to learn. If one of our players strikes out, I will teach they boys that as that player comes back to the dugout, that are met by their team with pats on the back and a “it’s ok, man!” or to give them a High Five. Lift them up when they are down. And to do that throughout the game no matter what. Sometimes just hearing a “you can do it!” from another player can mean so much. This is so much a part of the game. Lifting each other up when GOOD things happen and lifting each other up when BAD things happen. Things on the field will not go their way every single time. When things don’t go our way, it’s always nice to have a teammate, friend, family member to pat us on the back and say, “it’s ok, man!” or give us a high five for at least trying and getting out there and giving good effort. By the end of the season, the boys are usually connected, they are teammates and friends. They know what is expected of them in the dugout. I don’t have to watch for swinging bats as much…or balls flying through the air, but I will see them give pats on the back and hear them give words of encouragement to their teammate when things didn’t go their way on the field. Then I have done my job. Sometimes, baseball is more than just baseball. Do you have an amazing coach that has given your kids a great experience at their favorite sport? As we all know, a good coach is hard to find. These guys are volunteers and choose to spend their time teaching and helping our kids. I know we all want a meaningful way to show our appreciation. I love the idea of going in together as a Team and doing something nice for your favorite coach. There are many ideas circulating but these are my favorite. The parents on our team usually collected money for a very nice gift card to various restaurants or sporting goods stores and present it to the Coaches at the End of the Season Party. This is such a great idea. They do this on their own. They know as a team mom, I am working on a gift from the players to the coaches, and I have something special I give to our players….See my post on Team Mom: End of Season Gifts for Coaches and Players. A meaningful gift for a coach from their players, is a team picture, surrounded by a mat, in a nice frame that the players have signed. I’ve had several coaches tell me they really appreciated this. My husband loves seeing pictures of every team he has coached on a special wall in our home. 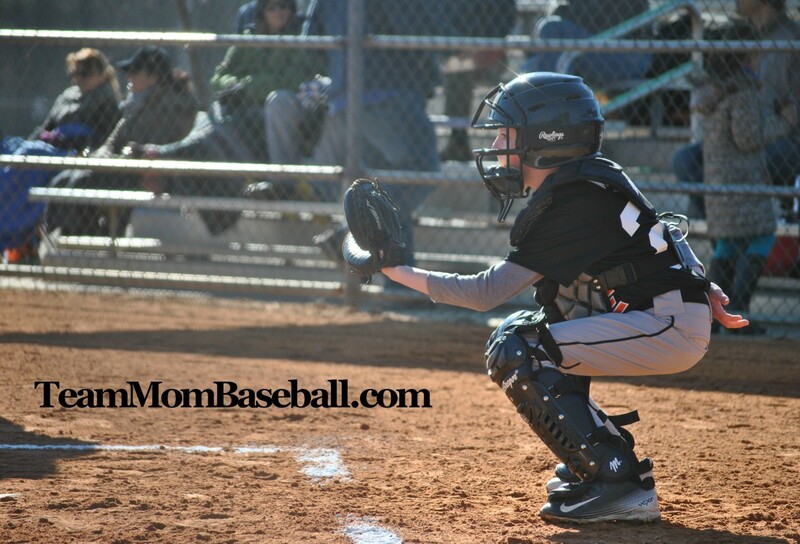 See my post on Team Mom: End of Season Gifts for Coaches and Players. Another great idea I heard about was from my friend, Donna. A coach she had worked with had really done an outstanding job with her kids. She also knew he was a HUGE Boston Red Sox fan. She emailed them telling them how excellent this coach was and that she wanted to do something nice for him. They sent her a bottle of field dirt…to some, it might not mean that much, but to him, it meant the WORLD. It contained actual MLB Authenticated game-used dirt from Fenway Park. You can actually go to an authentication database and enter the hologram number which is displayed on the bottle. This validates that this is actually game-used field dirt. A very thoughtful gift, and something very meaningful to a true fan. So, if you are looking for a meaningful gift for an important person or favorite Coach…. find out what their favorite team, or player, and try sending that email to that professional organization to see what they may send you or see what you can find online. Everyone appreciates a good coach and we want to properly show our gratitude! As our baseball and softball season is wrapping up, it’s time to start thinking about the End of Season Coaches’ Gifts. Our Coaches put so much time, effort, energy, and hard work into our seasons, we want them to know how MUCH they are APPRECIATED! My husband and I are on our 12th season of coaching/managing a team. We usually work with 1 or 2 assistant coaches. We never forget any kid that has been on one of our teams. Once you play a game together, there is a bond that never goes away. We’ve seen these players struggle and have seen them succeed. We have lost games together and won games together. Some kids stay with us for several seasons, some age out or try other sports. Either way. They will always be special to us. I find these spiral notebooks for around $.05 at Target after school starts and all their school supplies go on sale…. 70% off!! I stock up. I am the one with the camera. I take A TON of pictures throughout our seasons. I present these pictures AT THE END of our seasons for our boys and the coaches. For the boys, I will choose 4 or 5 of the BEST pictures of them in action on the field…catching a ball, throwing, hitting, sliding into base…and put them on a spiral notebook (with scrapbook adhesive) and laminate the cover so they will have a keepsake of our season. They can use this spiral notebook as a journal over the summer or as a notebook in school. Some boys like to show it to their friends. Others like to display it in their room. Either way, I feel it is a proper way to “give back” to these boys and parents for playing on our team and want them to remember a great baseball or softball experience. Read the package instructions to laminate the front cover of the spiral notebook and cut the excess off around the sides. Smooth with a ruler as air bubbles will try to creep in. For the coaches’ gift, I will take a team picture and put it in a frame and have the players from our team sign it. We have a wall in our basement (a room in which we occupy often) and it shows every season that we have coached. It has every kid that has ever played on our team. I think this gift means a lot to my husband and our coaches because of the investment, memories, and energy involved in a season. Every season has a story. Every season has great memories. Our Basement Wall of Players. Yes, it is blurry on purpose to protect the identity of our players. Our first season is displayed in the brown frame and will be put in a white frame soon. One season we coached baseball and softball simultaneously. I found these frames at Michael’s and I buy the same one every time. Recently, they were selling these for 70% off (I could not believe my eyes!) so I bought all of them. They are normally $8.99ish but I got them for $2!!!!! T w o dollars! Since this is a gift from the boys and me to the coaches, the parents will usually collect money on their own and present gift cards to the coaches. This is not something that I as the team mom usually do since I am usually coaching, too (and doing the picture gifts) and I feel weird collecting money for my husband. 🙂 We love what we do. I will upload the pictures that I have taken to Walgreens and send out the link so the parents can order any extra pictures that they like. Also, it gives them an opportunity to forward on to family members. I hope you all have a great end to your Spring Season. And again, a special Thank You to our coaches for EVERYTHING! Always on the run? Here is another quick 10 minute meal. This time, yummy Quesadillas! A crowd pleaser for sure! Brown ground beef or ground turkey, your choice! As your meat is cooking, sprinkle with salt and pepper, and minced onions. When your meat is all cooked… drain. While your meat is draining in a separate drainer, wipe the excess grease out of your skillet with a clean cloth or paper towels, careful not to burn yourself. Spray skillet with non-stick spray. On low/medium heat, add a tortilla in the skillet, spread the cheese FIRST, this will help everything adhere. Top with meat, sprinkle AGAIN with shredded cheese on the other side of the meat, and diced tomato, if desired. Place another tortilla on top of the meat mixture and spray with non-stick spray (for flavor and to keep it from getting too dry). Cook on Low/Medium Heat for 3-4 minutes until all has melded together, pressing with your spatula so everything will stick together. Tortillas should be sticking to the meat mixture, compliments of the cheese. Remove from skillet and put on a plate…cut quesadillas into quarters or eighths, depending on who you need to feed. If you need to cook more, just repeat steps above. My family loves these so I will make the first large quesadilla and put in the oven to keep warm while I am cooking the second. This way everything is warm at the same time. I love to serve this with tortilla chips and sour cream, salsa, and/or guacamole for dipping. You can get super fancy with this and serve with rice, beans, tortilla chips, etc. This is also a very simple, quick, filling way to get some protein into your kids after those practices or during the weekend when you are at home watching your favorite sporting event. Place the tortilla in a warm skillet and top with your choice of cheese. Then add a layer of ground beef or chicken, if you desire a cheese quesadilla, you can skip this step. Add another layer of your favorite cheese(s). Putting cheese on either side of the meat will help the quesadilla stick together. Dinner is done! Serve with tortilla chips and your favorite dips (quacamole, sour cream, salsa, cheese sauce, etc. etc.) A crowd pleasure for sure. Enjoy! The other night I was craving Mexican food and decided to make something based on what I had in my kitchen. We were short on time so I looked to see what I could throw together. I happened to have the Purdue Carved Chicken Breast strips, shredded mozzarella cheese, green and red salsa and tortillas on hand. The creative juices were flowing…I went to work. I sprayed my skillet with nonstick cooking spray, turned it on medium heat, and added grilled chicken strips. I used a plastic spatula (if you are using a non-stick pan) and started to cut chicken strips into smaller pieces. I threw in some shredded cheddar, sharp cheddar, and/or some shredded mozzarella cheese in and stirred. I love cheese in case you can’t tell. 🙂 I pulled apart a flour tortilla into small pieces and threw it in, blended and melted it all together. That’s it, I was DONE. I served this with tortilla chips, desired amount of remaining cheese, green salsa, and red salsa. It was so yummy! My family loved it! On a day when I can plan better, I plan on serving this with guacamole, sour cream, chopped tomato, chives, etc. etc. You can have this wonderful mixture in tortilla and make it a burrito, or put the mixture in a taco, or eat the mixture just by itself. It is so yummy. This is a great quick dish to make before a baseball/softball practice to give our kids lots of protein and something very filling. This would also be a great “football game” dish when your hanging out at home with your family watching your favorite game on TV. If you don’t want to do the refrigerated Chicken Breast Strips, you can always put some boneless/skinless chicken breasts in a slow cooker and cook it all day, then add your cooked chicken with the ingredients above to make the mixture. Last year, we went to Epcot and ate in “Mexico” at the restaurant called, San Angel Inn. I had a wonderful side dish there called, Chilaquiles. It was incredibly good and when I asked the server about it, she told me all about the history of it and how to make it. She just said to mix a corn tortilla (torn up) with shredded cheese and green salsa in a skillet with non-stick spray and blend for a very yummy side dish. It was so tasty. This dish is definitely inspired by the Chilaquiles! I see several Chilaquiles recipes that are quite complicated, but this is so simple and it takes 5 minutes. I like to get creative in the kitchen, many times making up my own dishes because I like to see how food can work together for the greatest flavor and how simple cooking can actually be. I like to see how quickly a dish can come together. I know many people that spend hours and hours in the kitchen cooking up the perfect masterpiece. But with our schedules and kids, and multiple ball practices/games, music rehearsals, there is NO WAY. I like to find the simplest, quickest, and yummiest way to cook. And this is one of my favorites. Add desired cheese and stir. Tear Tortilla into small pieces and add to skillet, stir and spray again with non-stick spray to avoid it getting too dry. Add any extra desired cheese. Continue stirring and melting for another minute or so until well blended. Serve on a plate with the mixture alone, with a tortilla as a chicken burrito, taco or whatever you desire. Surround with tortilla chips and your favorite toppings (Guacamole, Sour Cream, Salsa, Tomatoes, etc.) and favorite cheeses.